Whew! It’s March. We’ve moved. We’ve lost a lot of sleep. We’ve eaten pizza for what feels like sixty days. There is still a ton of work to be done on this fixer upper, but both my brain and my body have needed a vacation. Bermuda? Not quite. But books. Books are almost as good. (Just don’t argue with me about this, it’s all I’ve got right now). A Share in Death – The best way to totally get outside of your own head is to get into a detective novel. This is the first in the long series of Duncan Kincaid/Gemma James mysteries by Deborah Crombie. I am a fan! Maybe it’s not quite as clever and twisty at the end as an Agatha Christie novel, but it’s almost as enjoyable. I’m now in the middle of the second book in the series, All Shall Be Well. My Name is Lucy Barton – If you’re a mom, this book is a little shattering but kind of encouraging at the same time. It’s mostly told from the hospital room of Lucy Barton, and centers on her relationship with her mother. Her mom comes to stay for a while with her while Lucy has a prolonged illness, but their relationship has been strained, to say the least, for a long time. The sweetness and strength of a child’s deep longing for her mother, no matter the age or how well her mother parented her, is still stuck in my mind. 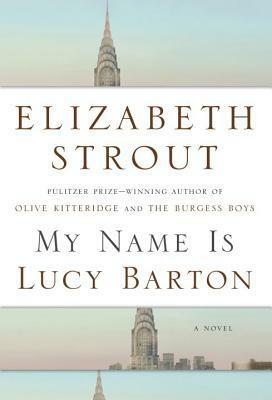 The books is sad, but there is hope in it and the artistry of Pulitzer Prize winner Elizabeth Strout is stunning. She is one of those authors whose every word is pointed and not one line is wasted. Goodnight, Mr. Wodehouse – If you are expecting anything at all Jeeve-ish or Wooster-ish when you pick this book, you will be very surprised. It has some good qualities despite its misleading title, though. The book follows the adult life of Nell Stillman, who lives in a small town in Minnesota. Set in 1900s-1960s, her life is harsh, as most midwestern lives seem to be in books set during this time period, but Nell finds solace in an unlikely place – a small shelf of books in the town’s power company office. Nell gains strength and understanding from her reading to endure well in her hard years. She is a delightful character, but it’s not until she discovers P.G. 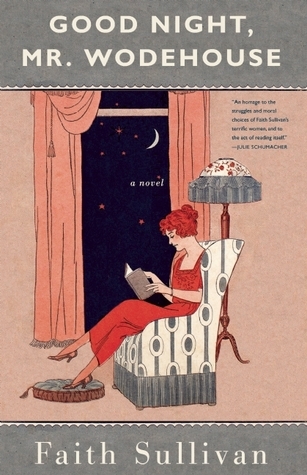 Wodehouse’s books that we see her love of humor come out. In the category of books for book lovers, I’d rate this one higher than either The Storied Life of A.J. Fikry or The Readers of Broken Wheel Recommend, for its highly developed and real characters and just right pace. I think fans of A Tree Grows in Brooklyn or Willa Cather would enjoy this book! I’m now in the middle of El Dorado: The Further Adventures of The Scarlet Pimpernel and I am so ready to end this blog post and get back to it! The Scarlet Pimpernel was and remains one of my favorite books since I read it three times in my teen years. It’s one of the few books I forced my husband to read after we got married. He would probably admit that it was pretty good, although he doesn’t understand why I think it’s one of the best books ever. How I spent the next half of my life totally unaware that there were sequels about The Scarlet Pimpernel is a mystery, but I’m so thankful someone opened my eyes to the light (thanks, Hannah! ).